Are you looking for the best moving service in Greater London? Do you need a removal company in North West London that is going to cover the requirements of your project iwth precision and care for the detail unmatched by anyone else? 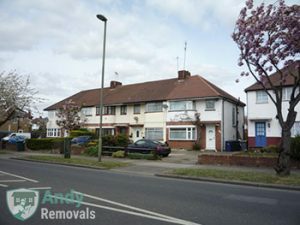 Then Andy Removals is the answer to all your questions and searches. We operate on a very flexible schedule that we entirely consider in accordance to your wishes. Have a specific day and time you need your relocation to be carried out? Would prefer to get the job done over the weekend or during a bank holiday? There will be no problem with that. Just tell us when and where we are supposed to be and we will make sure that everything is done properly. Last minute reservations are also okey with us. The better packing materials you use when preparing your items for a move, the safer their removal will be. We can offer you a fast delivery of professional packing supplies in North West London. If you have no experience with packing for a relocation, you can simply rely on our speedy packing service in North West London. Contact us now and we will schedule a professional packing for the day before your moving date. In order to guarantee the safety of your goods while they are being transported, we maintain an armada of some of the best removal vehicles relocation companies in North West London have access to. Our long-, short- and mid-base van and Luton trucks are supplied with safety gear, GPS navigation and loading equipment that comes to guarantee that your items will not sustain even a single scratch while they are being transported by our responsible and very carefully vetted team members. 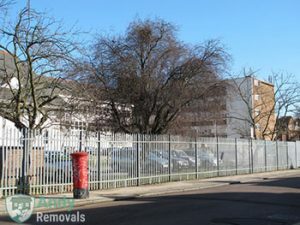 Have a quick and easy resolution of your upcoming removal in North West London. When you hire us we will be here to oversee literally every step of your project, from the initial planning and viewings to the packing and other preparations and the eventual transportation of your goods from point A to point B. The best part is that despite the very high quality of the service we have the pleasure to bring your attention to here, we work on very competitive prices that you are going to love indeed. Call our friendly customer support or simply fill out our easy to use online contact form in order to get a free no obligation quote. The moving jobs for which we are hired are always different and that has inspired us to offer our clients a highly personalised removal service in North West London. We will fit your budget and we will surpass your expectations. We have very flexible pricing and work schedule. As a result, we can send you our team of attentive movers in North West London on any day of the week and you still won’t have to pay extra. Our premier quality relocation services are available throughout the territory of North West London. The boroughs that make up this part of the capital are some of the finest residential areas in the metropolis as of today, and furthermore they contain a number of landmarks that are going to present interest to residents and visitors to North West London alike. Enfield, Haringey, Brent, Barnet and Harrow, in addition to other places are covered by us in full. Wembley Stadium – the home grounds of the English national team – is one of the biggest landmarks in North West London. Part of the borough of Brent, Wembley is not only the focal point of the district of the same name, but it is also the largest open air sports venue in Europe as of today. We employ professionally trained movers in North West London who work together as a coherent team. Our pros have excellent communication skills which is why you will be able to easily discuss your moving requirements with them. The insured moving experts of the company are trustworthy and discreet. So, your items and furniture will be in experienced and reliable hands. If you have never moved before, our dedicated staff can also give you some free tips. The Royal Air Force Museum in Barnet is another point of interest worth mentioning. It occupies the grounds of the former Hendon Aerodrome. If you are interested in motorcycles you should definitely drop by the London Motorcycle Museum in Greenford, Ealing. The museum was opened in 1999 and has a collection of well over 150 classic English motorcycles that connoisseurs are definitely going to appreciate. If you enjoy the atmosphere in typical English villages, you will love some of the areas situated in North West London. This is a relatively spacious sub-region of Greater London and many of the districts in it are characterised by their classic village-like appearance. Just head over to Hampstead, Kentish Town or St John’s Wood and you will quickly see what we mean. Even in Camden, you can find some localities which are leafy and quiet.